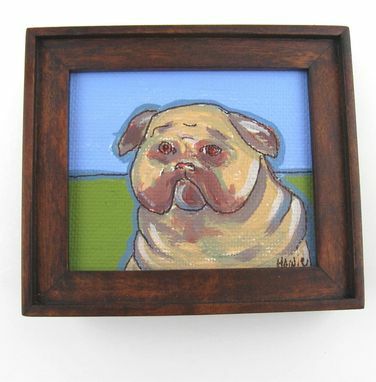 Adorable miniature Pug Painting. 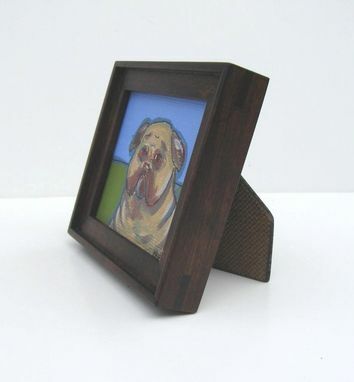 Original acrylic framed in a brown wood frame. Outside measurements are approximately 3"x4". This original pen and ink is combined with acrylic on canvas paper. 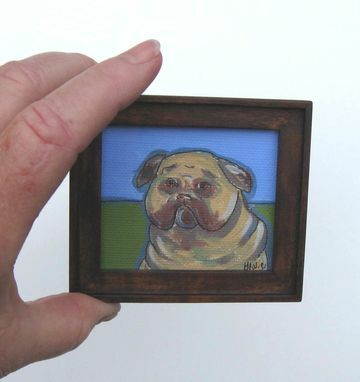 This miniature original makes an adorable spot piece. It can sit on a desk, counter top or bookcase as a special accent to any decor. 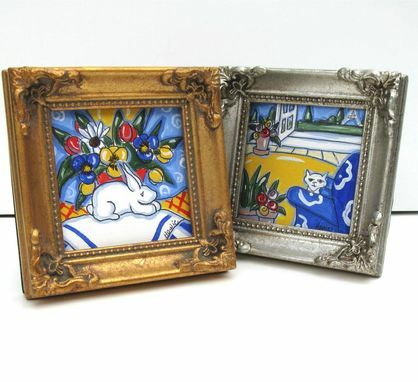 These small originals make such special gifts for any occasion and will come with free gift wrap.